I just wanted to see what your set up is like and where and how are the best points to install say 4-5 point harnesses. At this point, I'm OK with drilling the floor of the car for back plates and such. Also where is a good places to buy eye hole bolts seen in thread above? I've also found this link... bit too complex for me But great information about how to correctly install the belt etc..
Also, are all the belts by Schroth DOT approved? or just the select tuning belts? Last edited by Herblenny; 01-12-2010 at 08:12 AM..
Ron will prob. be the guy who answers. If you are a NASA member, you get a 10% discount. I have my shoulder harnesses on my roll bar, everything else is anchored with a backplate. Prob. wouldn't hurt to have the backing plates welded in. May be overkill, but you can never be too safe. Also, what belts would you guys recommend? I don't foresee myself being that competitive, but maybe to do some track day and such. The OEM belts. Unless you are going to put in something with more protection than just a rollbar the OEM setup will be the safest (and most economical / easiest to install ) setup considering you aren't even really anticipating tracking the car much (if at all) and on the street the harness is not a great idea. Some great points! Agree 100% that OEM is the best solution for street use. However, if you are putting in anything over the Raceshop Rollbar, I would not drive it on the street as you have the potential to bang your head on the cage which can cause MAJOR damage to your nogin. I am sure though you were referring to track use only. 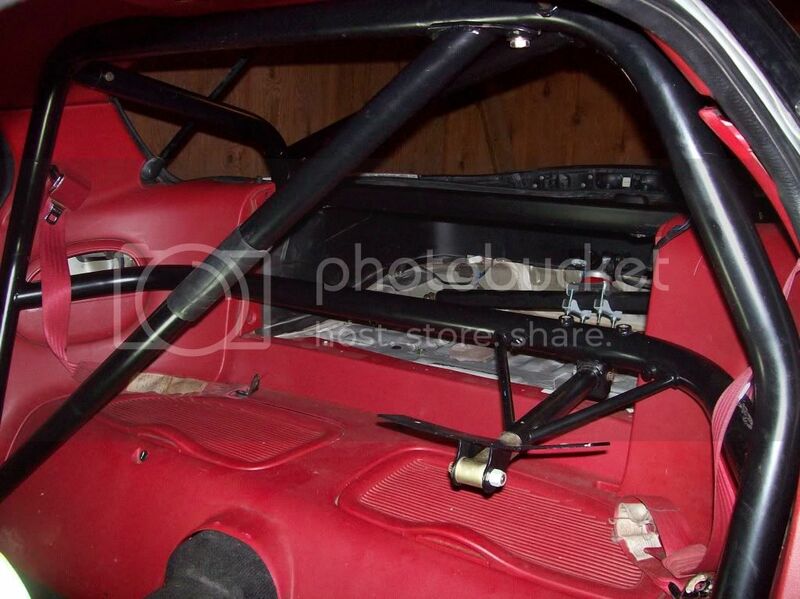 As you hinted at as well, you should always use a rollbar/cage, seat, and harness together. At that point, I'd feel comfortable taking out my stock steering wheel and putting in an aftermarket one(given it is being used for the track). The Raceshop/M2 "Rollbar" is prob. more than you are thinking it is, maybe not. Here are a couple of pictures of the one in my silver car for reference. They also make door bar's on some models. I ran this season with the M2/Raceshop roll bar, Recaro RZ seats, and G Force 6 point camlock harnesses and felt safe in the car. But who knows for sure, it was never put to the test. IMO, take it for what it's worth, I'd feel just as comfortable if not more comfortable running the M2 Raceshop roll bar, a fixed seat(whether it's your OEM Recaro's or the SPG's), and a harness on the street. Last edited by Brent; 01-12-2010 at 10:22 PM.. I have the Raceshop bar too and I was planning on attaching the harnesses to it. Is that not a good idea? Oh, I think I'm confused a bit. I only have the harness bar, not the roll bar. I don't think I would fit with a roll bar unfortunately haha. How tall are you Brent? ...I'd feel just as comfortable if not more comfortable running the M2 Raceshop roll bar, a fixed seat(whether it's your OEM Recaro's or the SPG's), and a harness on the street. True... I just worry about the side impact protection that you have lost with a harness that does not allow you to be pushed away from the doors the way an OEM setup does unless you have side / door bar protection. If he was mostly wanting to do 1/4 mile stuff that would be one thing, but on the street and on a road course, side impact situations are much more likely. You will be fine to attach your harness to your harness bar. 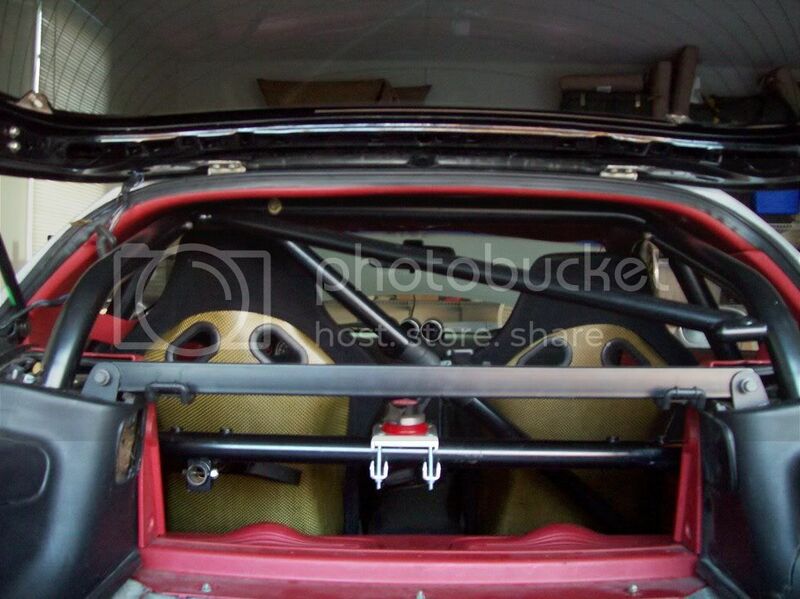 I'm a little confused by your question You aren't loosing any headroom or any additional seat room with the M2/Raceshop roll bar as you can see in the pictures. I see completely where you are coming from. Spot on with the side impact accidents. I worry more about side impact accidents on track opposed to head on... but the movement or no movement in a side impact is a double edged sword I think. Side Impact causing side to side movement... bad(Fritz can tell you first hand). Side impact without movement and the object penetrates the drivers side compartment, such as a car running a red light on the street(which I don't know how much door bars would help)... bad. That also brings up head/neck restraints as well as side impact halo seats(for track purposes of course). Last edited by Brent; 01-12-2010 at 11:57 PM.. Thanks, I was hoping to be able to attach them there, since it IS a harness bar and all LOL. I just wanted to make sure, I thought you were saying something else at first. Haha, I'm not quite as worried about headroom, but I have really long legs and I need all the leg room I can get. I've been in my buddy's car with his roll cage and I don't fit very well. Just wondering. Plus, if I have my seat sitting pretty straight up, my head will hit the roof, so I have to lean it back a little more. Just wondering how you ran the 6 point harness with the RZ seats, do they have a hole in the base to feed crotch straps through? They do not. Seat would have to be modified. I do not. Sorry dude. I sold it to Howard Coleman last year. I don't think Fritz has one currently, but shoot him a PM to be sure.